Vincent Lawrence Ernst was born January 29, 1942 in Jersey City. A talented athlete, Vinnie learned the game from his older brother, Bobby, who was one of the best young players in JC. Vinnie was a cat-quick point guard who honed his game in Biddy Ball at the nearby CYO center. From fourth grade on, he was rarely seen without a basketball in his hands. He led the Jersey City CYO to two national Biddy Basketball titles. In 1954, after his second championship, Vinnie was named Jersey City Mayor for a Day. He received his first college scholarship offer in 8th Grade, from Wake Forest. As a teenager, Vinnie starred at St. Aloysius High School for coach Bob O’Connor. He watched from the bench as a freshman as Bobby led the team to its first state championship, in 1956. Vinnie went on to lead St. Al’s to two more state titles. Though he stood just 5’8”, Vinnie was one of the most talked-about players in the state as a senior in 1959. He played in several prestigious all-star games and was named All-State for the second year in a row. Vinnie was recruited by almost every major college in the country. Initially, Vinnie and fellow prep star Bill Raftery had planned to enroll at the same college. But Raftery picked La Salle in Philadelphia. Vinnie wanted to venture a little farther from home. He accepted a scholarship from Joe Mullaney at Providence College and went on to set a number of school records, including 16 assists in a game. 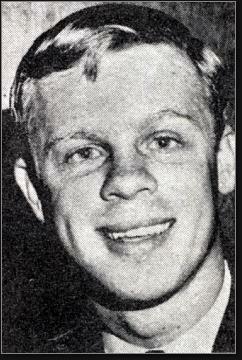 As a sophomore in 1960–61, he led the Friars to the NIT tournament. In the semifinals against Holy Cross, Vinnie he scored or assisted on every basket in overtime to propel the team to the finals, 90–83. They beat St. Louis 62–59 in a great comeback victory and Vinnie was named NIT MVP. Vinnie set another school record with 8.7 per game as a senior during the 1962–63 season. He earned an honorable mention All-American nod as a junior and senior and led the Friars to a second NIT title in 1963, trouncing Canisius in the final. Ray Flynn, his backcourt mate, was named NIT MVP. Flynn would go on to become mayor of Boston. Vinnie was selected for the Pan-American team, which won a gold medal in Brazil that May. Vinnie was drafted by the Boston Celtics in 1963 but did not play in the NBA. He took a job coaching the Fairleigh Dickinson freshman squad and played weekends for a few years in the Eastern League for the Asbury Park Boardwalkers, and Springfield Hall of Famers. Vinnie moved back to Rhode Island in the 1970s. He was inducted into the Providence College Hall of Fame in 1977. In 1996, he was returning to his home in Lincoln when he pulled over with chest pains. Police found him in his car, dead of a heart attack at 54. In 2011, Vinnie (#10) and Flynn (#14) had their jerseys retired in the same ceremony. In 1997, the 1961 and 1963 teams were also honored by Providence.